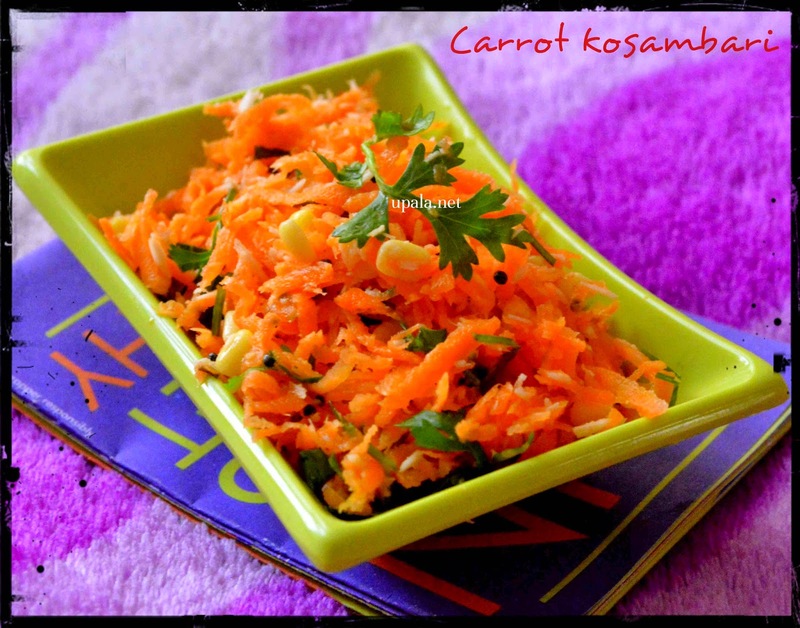 This salad is made in South Indian style and is very tasty. It grabs a special place in South Indian wedding feast (lunch) served on banana leaf. Always try to include salads at least 3 days a week, it is not only good for health but also saves cooking time and fuel. 1) Wash and soak the yellow moong dal for 1/2 hour. 2) Wash and clean the carrot. Scrap the outer skin to remove any dirt. 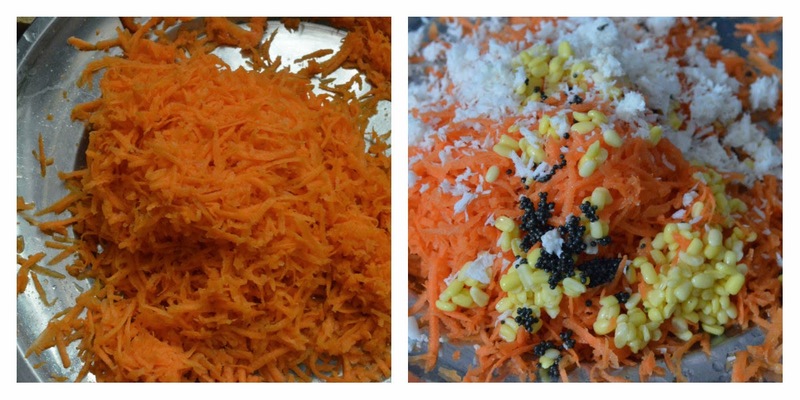 3) Grate the carrot and add ginger, curry leaves, coriander leaves, lemon juice, grated coconut, salt and sugar. Drain water from moong dal and add to kosambari. 4) Heat oil in a kadai and crackle mustard seeds and add to the above kosambari . Mix well.